Historical Note: This German settlement was founded by John Niehenke and Frank Droll in 1857 or 1858. Earliest tombstone is for J. S. and Elizabeth Vittetoe’s son, William who died 22 August 1859, age 7 years and 3 months. The United Brethern Church built next to the cemetery is now deserted. Directions: From Randolph, take Highway 77, north about 4 miles. Turn left (west) onto Winkler Mills Road, County 376, for four miles to Fancy Creek Road. Turn right (west) onto Fancy Creek Road as Winkler Mills turns South, County 376 also turns right (west) onto Fancy Creek Road. Continue five miles to May Day. 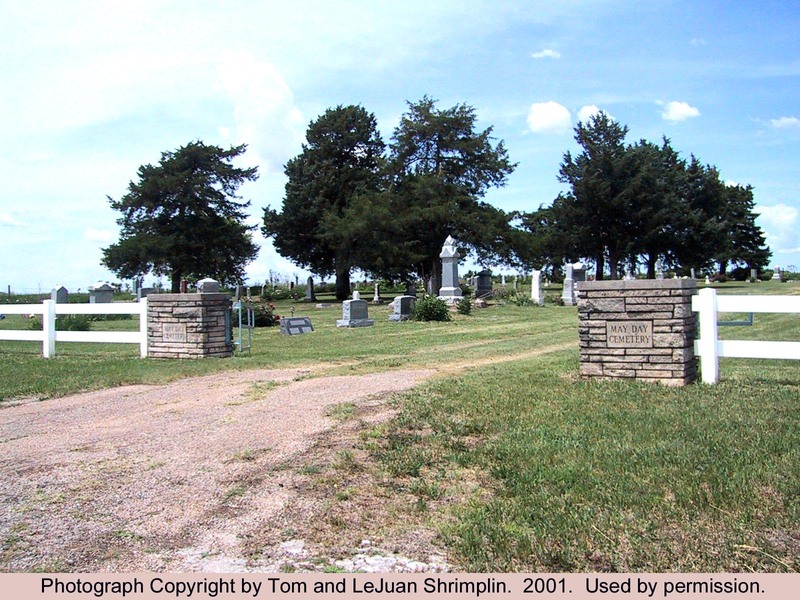 The cemetery is one mile further west.